These are three handy emergency kits. Idea for your home, office or car. 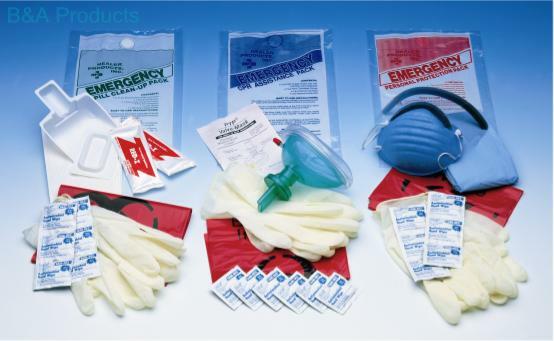 They contain the basic items you would need to safely preform CPR, clean-up a bio-medical spill and for personal protection. Easy to use and inexpensive. Keep one or two at your home, office, or in your vehicle.